I don't know if you've ever seen these in your stores before. This is a carton of repackaged eggs. When several cartons of eggs have a few damaged ones inside, the store will sometimes repackage the good eggs into a new conatiner, and toss out the cracked ones. The outside of this carton indicates the store number and date of repacking, in handwriting. 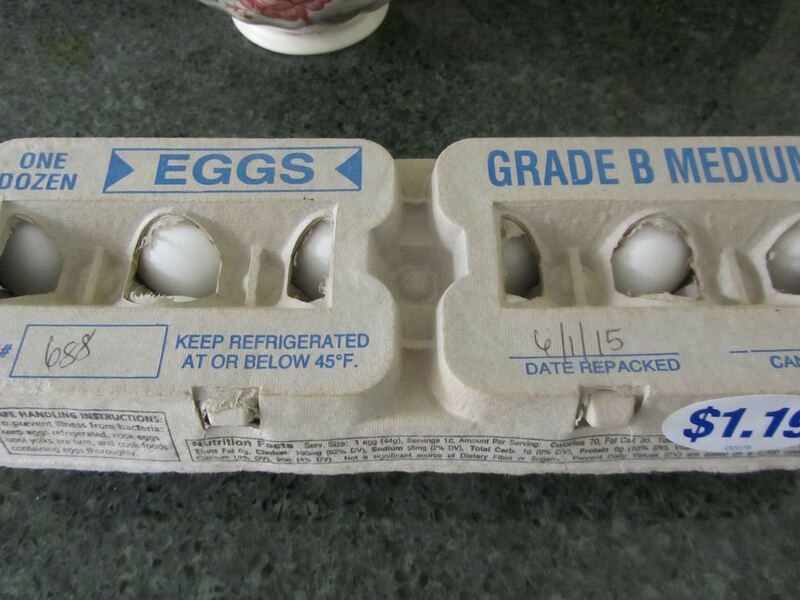 The carton says that the eggs are Medium Grade B, but upon opening the carton . . . I can see that these are larger than Mediums, most look like Large and a couple look Extra-Large. This looks like a carton of eggs of varying size (but given designation of Medium, meaning the one dozen eggs in this carton weigh the minimum of 21 ounces, but likely more). Grade usually refers to the condition of the shell, whether or not it's misshapen or has slight staining. (But these eggs don't appear to have exterior abnormalities.) As well, Grade can refer to interior condition of each egg, such as how large of an air pocket the egg contains or the thickness of the white portion of the egg -- both of which is determined by candling. The outside of this carton of eggs also has a space to write in the candling date, but nothing is recorded in that space. Here's a photo comparing a "regular" Large egg on the left (from a carton of eggs I already had at home), to a repackaged egg on the right. All of the repackaged eggs are large compared to my "regular" eggs. 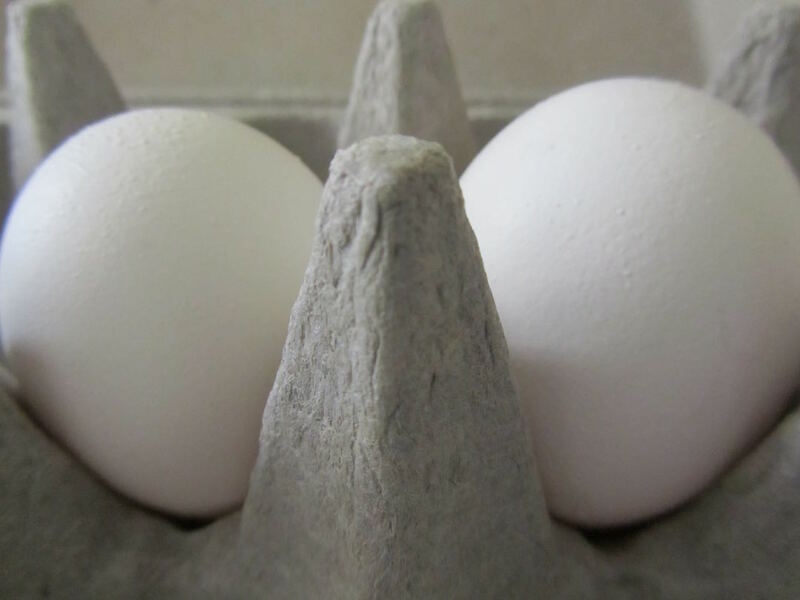 Regulations concerning the repacking of eggs varies by state. Overall, eggs to be repacked cannot be past the sell-by date, contaminated with egg from other cracked eggs, or packed into a dirty carton. If there is no new sell-by date, 30 days from the repacking date is the general guide for safety and freshness. These repackaged eggs are sold at a discount over the store's regular price for eggs. I bought 3 dozen of these eggs on Senior Discount day at Fred Meyer, for $1.19 less the 10% discount = my price of $1.07 per dozen. I have found repackaged eggs on a couple of occasions, at a couple of different stores. They are usually set to the side, but still in the egg cooler, and have hand-written information about packaging, as well as pricing directly on the carton (not a tag on the shelf). My experience has been that these eggs show up late Monday or early Tuesday. Just an FYI. Keep your eyes open. As for using these eggs in my kitchen, when I bring home cartons of repacked eggs, I move these cartons to the front of the line, for use ahead of any other eggs I may have purchased -- just to be safe. Otherwise, they are just as good as any other egg I buy. I have never seen repackaged eggs here, but I'm glad that stores around you are doing it. I'd hate to see a whole carton of eggs thrown away because of one cracked eggs. Great price on eggs you got. I haven't seen them that low around here in years. It just seems like the sensible thing to do, doesn't it, to repack the good eggs all together in a new carton? But some stores may not do this. I hate to think that some stores would throw out whole cartons of eggs, due to one or two cracked ones. Anyway, if you ever do see a carton of eggs that is packaged differently from the rest, they could simply be repacked ones. The peewee were in when my husband was at the hatchery yesterday. He purchased 10 dozen for $10.50 Canadian dollars. That is about $8 US. Luckily the eggs were larger than usual. They were a medium size or larger. I will need to use some of your tricks for preserving them. They are a major source of protein for us. It is really nice that you are able to take advantage of the repackaging. Oh, fantastic! That's an awesome price, especially as they're actually larger than pee wee standards. Freezing the eggs is a pretty simple process, I'm sure it will go well. I have never seen repackaged eggs here either. But it does bother me when there is a cracked egg in the carton and we put them aside. I just never knew what happened to them. I wonder if they would let me buy it cheaper or even give it to me free if I asked. I'm going to ask one of these days. I love eggs but I don't allow myself to have them very often. Mostly on weekends and maybe one during the week. Today I had two--one for breakfast (hard boiled) and one for my salad-in-a-jar for lunch. If I were you, I'd simply find someone in that part of the store and ask if they would reprice them for you. I do that when I come across milk about to expire, but that hasn't been repriced yet. You could also ask if and when they repack eggs, from cartons with one or two cracked eggs, and find out the store's schedule. Then you'd know about when to show up to take advantage of reduced pricing. Good luck! I have never seen repackaged eggs around here, but $1.07 for a dozen eggs is a wonderful price. Yesterday we stopped by Costco for a few essentials, and husband went to get the eggs. I asked him what the price was and he said isn't it about $3.50 (for carton of 18 eggs)? Nope, it was $5.59!! I really wanted to stop by customer service on the way out to return the eggs and shop for a better deal, husband said let it go. Now I know not to ask him, but check for myself since he's not as much the price stickler that I am. I know. I sometimes feel badly that my prices sound so extraordinarily low to you. Almost all of your prices are so much higher than mainland prices. But you do get the great weather! And for that, I am very envious! Oh gosh, $5.59 for 18 eggs! I don't think we'd be using very many eggs at that price. That's $2.48 per pound, if they're large eggs. Can you buy medium or small-sized eggs there, for considerably less per egg? If so, you could buy some of your eggs in a smaller size, to use just in baking (most recipes, like cookies, muffins and quick breads do just fine with a smaller egg, no adjustment needed). But then use larger eggs when the egg is the protein source of a meal. Egg substitutes work very well, for most recipes, too. Hope you find a better price on eggs, soon! Don't worry, I love to hear about the deals people in the mainland are able to find. The eggs I purchased were the same eggs (not local or organic) that just a month ago was $3.25, then $3.19, and recently $3.89. I have never looked around at Costco for other types of eggs, but I will have to for my next eggs purchase. Meanwhile, I am restricting our egg use for must have egg dishes. And resort to freezing them before the expiration date instead of indiscriminately using them up. Recently I made some box mix cupcakes and used greek yogurt instead of the usual oil and eggs. Each box mix required 3 eggs, that's almost $1 right there just for the eggs!! YHF, if you find yourself up against crazy high egg prices again, you might also want to compare liquid eggs at Costco to shell eggs. A large egg is 2 ounces. So, a 32-oz carton of liquid eggs contains the egg equivalent to 16 eggs. And powdered eggs could be an option, as well. Powdered eggs are too expensive for most of us, in comparison to regular egg prices. But in places where shell eggs are high-priced, powdered ones could be cheaper, and very useful for baking. So, how did you like the texture of your cupcakes made with Greek yogurt in place of eggs/oil? Boxed cake mixes generally have plenty of leavening in them, in the form of baking powder. The eggs would just be a texture and moisture thing. If you felt the cupcakes didn't quite rise as much as usual, the next time, you could add a smidge more baking powder, plus the Greek yogurt or whatever other substitute you choose. Thanks for helping with the math :) I definitely will keep liquid and powdered eggs in mind next time! Hope these forms will be cheaper as there may be a lag time to the supply shortages of fresh eggs. The cupcakes were done in the microwave, and made half size, so considering, it was pleasantly like cupcakes!! I also made another batch with yogurt and pureed beans since I saw on youtube that you could substitute the oil/eggs in a boxed cake mix recipe with a can of beans pureed with a can of water. That batch also came out quite nice, in the microwave also. That's interesting to know that box mixes are loaded with leavening, no wonder that is the only way I can bake lol My dad seemed not to like these cupcakes as much since he didn't eat them up quickly as he usually does with other sugary desserts. My husband said it takes some work to eat the cupcakes and doesn't have the sweet happiness of cakes. But I loved it!! It could be that you've seen these at the larger stores, simply as a matter of volume. More people in the stores, more eggs being moved around, more likely an egg would get cracked. 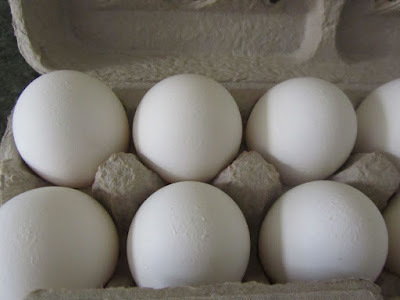 With your small neighborhood stores --You may want to just ask, at your neighborhood store, what they do with cartons of eggs with a cracked one in the carton. This could open a conversation whereby you either find out if they have a schedule for this sort of thing, or make an arrangement to buy those eggs, and they'd set them aside for you. At the very least, though, if you do find a carton with a cracked egg, you can ask if they will mark that carton down. Can't hurt to ask, right? In our state they are not allowed to switch eggs from one carton to another, but they can take the cracked eggs out & if there is no mess in the carton they can mark down the eggs minus the cracked ones. Only one store chain in our area does this that I know of. So I may get a carton of eggs missing one or two eggs but it would be half price. Also if eggs are getting near the sell by date they can mark those down too, I will buy those if they are a few days out. But by law our stores are not allowed to mark milk downlike you stores do, we actually have state regulated minimums stores are allowed to charge for milk. We could never get milk marked down like you do in your area. The first of the month if the state adjusts the minimum price the stores will make a change. Our milk runs about $3.50 to $4.00 for milk depending on the fat percent. Normal types of milk I mean of course the organics are much more. Sorry I'm rambling, my hubby works in the dairy department of a grocery store, otherwise I probably would have no idea of all the rules. I had heard that some states have tight regulations on dairy. 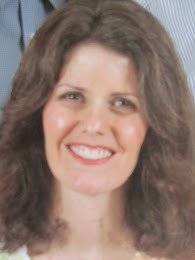 But that is very good information for what your state can do, for others reading here. 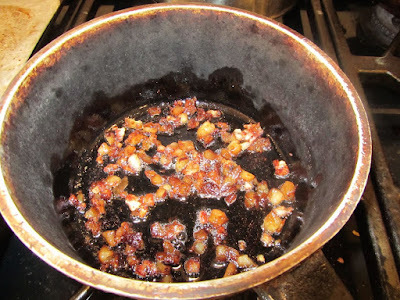 Such as remove the one cracked egg, and mark down the remaining ones. I understand the rationale behind not be allowed to move eggs from on carton to another. If there's a food-borne illness linked to a particular batch of eggs, then there is no way for a consumer to know which batch their repacked eggs came from. My answer to that for my own family is that these repacked eggs are always used as fully-cooked eggs. No eating batter or consuming any of these eggs in an undercooked form. Your milk prices sound so crazy high, and would be so discouraging for a young family needing a lot of milk. Hopefully there are other grocery items that are priced more favorably, to offset the high dairy prices. Thanks for your knowledgeable input, Rhonda.